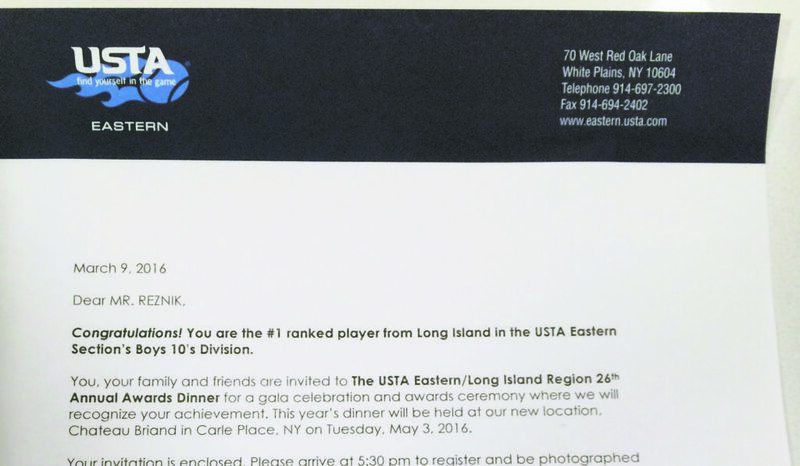 Jordan Reznik received an award from the USTA for being the #1 ranked player from Long Island in the 10’s division. 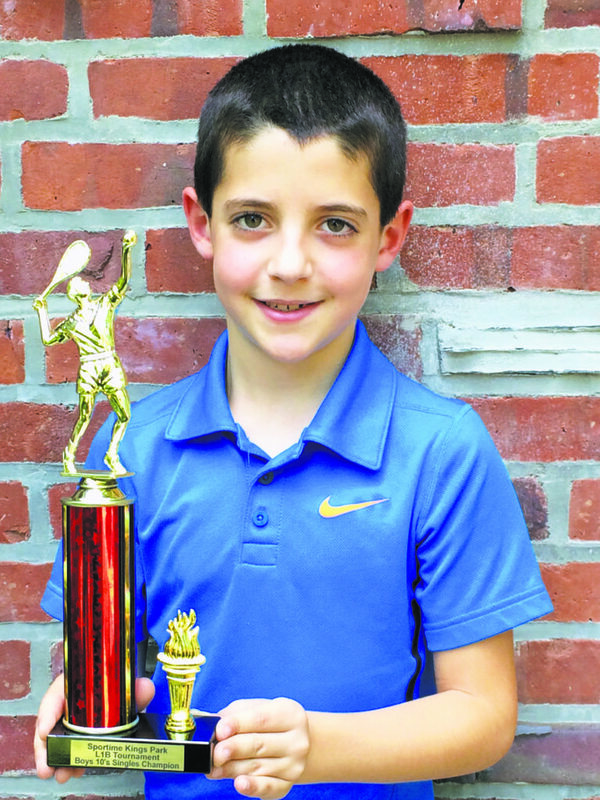 Jordan Reznik, a fourth grader who attends Saddle Rock Elementary School, received an award from the United States Tennis Association (USTA) on May 3 for being the #1 ranked player from Long Island in the USTA Eastern Section’s Boys 10’s Division. 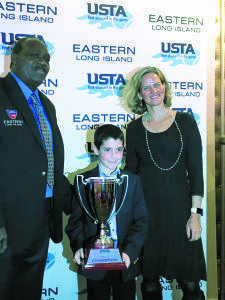 Jordan Reznik received his award from Daniel Burgess, president of USTA Long Island region, and Laura Curran, Nassau County Legislator. 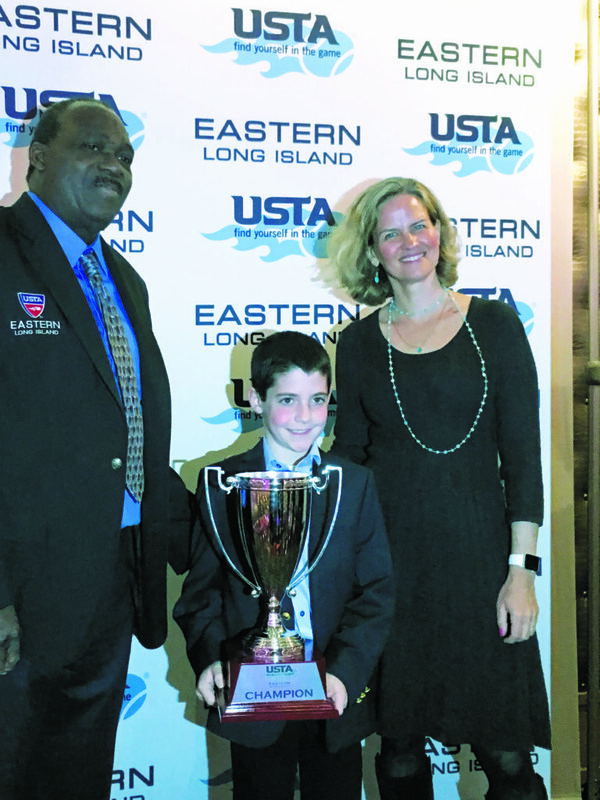 “Jordan started to play tennis at the Great Neck Parkwood Tennis Center when he was 5, where he first got the love for the game,” said his father, Michael Reznik. 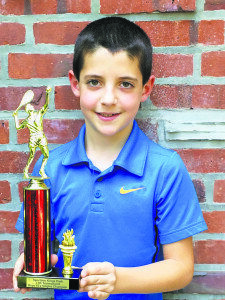 “Today Jordan is training at Robbie Wagner Tennis Academy in Glen Cove, where he plays every day for a few hours.” He also loves to run with his dad, who’s a marathon runner. 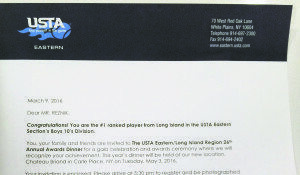 The letter Jordan Reznik received, telling him that he’s the #1 player from Long Island in the 10’s division.